Ever since I got my hands on WWE 2K19 last night, I’ve had a very hard time putting it down. And I need to be clear – that’s not something I’ve felt about a pro wrestling video game in quite some time. I played a fair amount of WWE 2K18 last year, but after struggling through endless hours of the frustratingly buggy MyCareer mode, my gaming sessions quickly became more about killing an hour or two, here and there. That’s an incredibly disappointing feeling for someone who has been playing and loving WWE’s annual titles since WrestleMania 2000 on the N64. This time around, not only am I deeply engaged in the game while playing, but I find myself constantly thinking about what I still have left to check out, what kinds of images I need to upload for making better custom Superstars, and which of the new 2K Towers I want to attempt tackling next. There is SO MUCH to do in WWE 2K19. I’ve banked maybe ten hours of gameplay, and I feel like I haven’t even scratched the surface. I’ll be writing a full review in a few days that includes my thoughts on this year’s totally revamped MyPlayer mode, the changes to WWE Universe mode and online play, as those are three major sections of the game I just haven’t had the time to really dive fully into yet. A big theme behind WWE 2K this year seems to be improving our “quality of life” as players. I wouldn’t say that they’ve necessarily reinvented the wheel with their latest entry, but almost every aspect of last year’s game has been either tweaked or completely overhauled to make the experience more enjoyable. On the surface these might not seem like big changes, but it’s the small things like faster loading times, the new menus and the subtly smarter AI that make grinding through long hours of gameplay much, much less grating. There are also a few much larger developments, like a brand new lighting system that makes everything look absolutely gorgeous. For the most part, the models and textures of WWE 2K18 seem relatively untouched; save for AJ Styles actually looking like himself. But the new lighting really brings out those textures, especially during entrances. No doubt, the series has never looked better. 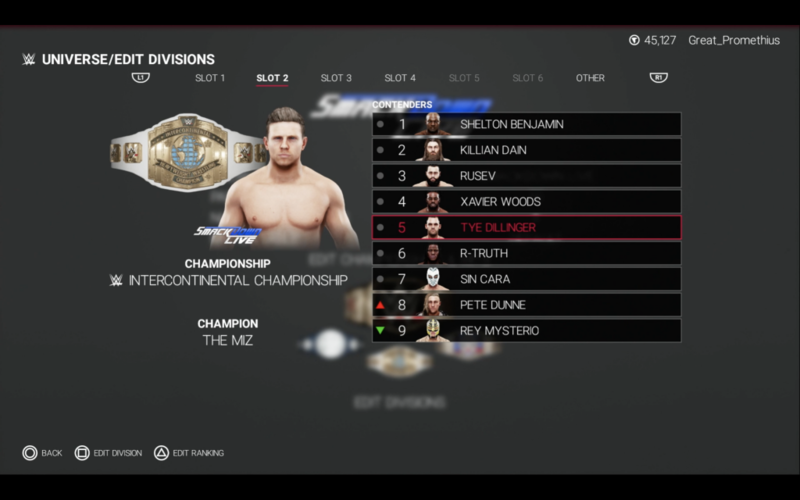 Going back to that “quality of life” mandate again, I’m loving the small, but much-needed changes to WWE Universe mode. It’s still mostly the same concept, and those screaming for a return of GM Mode probably won’t be appeased, but for players like me who actually enjoyed last year’s Universe offering, small changes like being able to select which Superstars are able to challenge for which titles, and actually being able to pick the winner while simulating matchups – those are awesome, welcome additions to the experience. Being able to control which brands have Money in the Bank winners, and force cash-ins at any time is also a really cool touch. 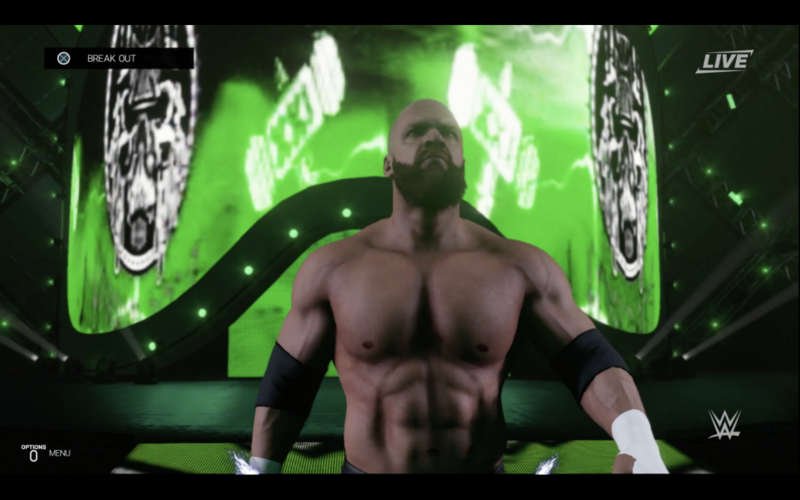 The creative suite has seen a bunch of upgrades this year as well, which should make the already impressive create-a-wrestler community happy. There’s plenty of new things to deck out your custom Superstars, title belts, entrances, and what have you. This year you can actually fully customize the side plates for certain championship belts, which is pretty cool. 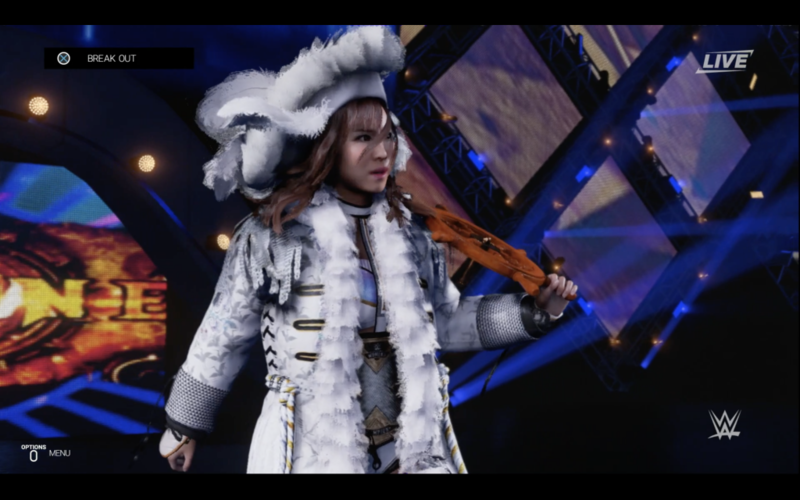 One of my favorite features in WWE 2K19 is the ability to totally randomize a custom Superstar. Will I ever actually play with any of these random creations? Who knows! 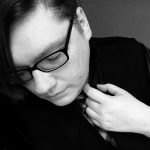 But I’ve spent way too much time just sitting around, hitting the randomize button and seeing the endless possibilities – both male and female – that the game can produce. It’s also handy for coming up with ideas for creating your MyPlayer. So yeah, there’s a ton of improvements to the content of the game this year – but is it fun to play? All these changes really mean nothing if the core gameplay doesn’t continue to reel you in match after match. While those looking for that old school “arcade” experience should probably stick to their retro games, for those that enjoy the modern simulation style that 2K presents, this is easily the best incarnation of the game so far. The improved AI makes the game an actual challenge. I played all of WWE 2K18 on Hard difficulty without too much hassle, but this year I actually had to turn it back to Normal until I got the hang of things. I frequently lose matches, and the computer – much like a real opponent – will punish you for not putting them away when you have the chance. The hit boxes seem a bit more specific, which in the long run should be a good thing as it brings more actual skill to the gameplay. On the flip side, until I get used to that level of precision, I will continue to look really stupid while missing my running dropkicks and top rope dives. The Skills and Abilities from previous games return this year, dividing up which special abilities certain Superstars are allowed to utilize in combat. As always, everything is customizable and you can change these up for every member of the roster. However, a big change to WWE 2K19 is the new Payback system. Every Superstar has two Payback levels that they can customize prior to matches, almost like a miniature “load-out” that the shooting genre has made famous. Your Payback meters fill slowly over the course of the match, especially when taking damage. The level one Payback moves are fairly simple and allow you to do things like auto-reverse a basic attack, or play possum and attempt to trap a foe into a surprise pinning combination. The level two Paybacks are a bit more involved, and as a result are much harder to pull off. Store up one of these bad boys and you can cash in for a free finisher, go into a “tank mode” that slows you down while increasing your defense, or even call down one of your allies to get involved in the match! This is also where they hid the ability to steal your opponent’s finisher in this year’s game, and there’s even one that turns the lights out, and makes you appear right behind your opponent. I wasn’t sure about the new system at first, mostly because it’s a brand new feature and I found myself forgetting about it most of the time. But with the newly improved AI sometimes I found myself digging into the Paybacks to try and get that last-minute advantage. It’s going to take some getting used to, because it really does add a whole different element to how a match is played out, but I think Paybacks may end up being an extremely positive step forward for the franchise; one I hope they can expand upon in future titles. Finally, I wanted to take a second to talk about the new 2K Towers game mode. The 2K Towers are themed gauntlets that sees the player select a Superstar and run through a chain of opponents, one after another. If you stop for any reason, you start over. If you lose, you start over. I’ll admit that I’m not very good at clearing these towers just get, but I am absolutely in love with the concept. 2K has promised to continue supporting Towers for quite awhile, so we’ll be getting new themes and challenges to keep us coming back. My favorite part about them is that completing a 2K Tower actually rewards you with something for all your hard work. Each of the Towers give out tokens based on performance that you can use on in-game items, but there are things like the much-talked-about Big Head mode that you can’t access until clearing Andre the Giant’s Tower. This brings me back to my childhood when games actually rewarded you for playing them. Nowadays you pay an extra $20 at Gamestop for the Super Special Deluxe Edition SP and they just hand you a download code with all the goodies pre-bundled. What happened to grinding through, beating the boss, and unlocking something awesome? WWE 2K19 has that element of nostalgia, as there are plenty of things to unlock, and I feel like there’s constantly something I’m working towards. The only real negative I need to touch on so far is the revamped Hell in a Cell. For years players have been asking 2K to make it easier to escape the Cell. They definitely listened with WWE 2K19, but whether or not the changes made are actually a positive for the series remains to be seen. It is easier to break the cage this time around, theorhetically. You don’t have to have the OMG Moment equipped to your character, as simply throwing your opponent into the cage enough times will break a section, allowing you to escape to the outside. However, the whole ringside area is now on a track. There’s no free-roam once you leave the ring; just a area for pressing the grapple button and performing a random offense move, HOPING it will send someone into the right section to break the cage. You can’t run outside the ring, there are no weapons, and even the ring steps are glued to the floor. There are positives to the new Hell in a Cell. It’s not all bad. You can now climb and fight on the side of the structure, which means you can reenact that Rollins/Ambrose spot we’ve seen done in every version of the match since, to your heart’s content. Once you actually get to the top of the Cell, it’s pretty cool. You can literally see sections of the top of the cage start to break away, indicating where to slam your opponent to send them crashing to the floor below. So there are pros and cons, but ultimately it feels like the Hell in a Cell match two one step forward, and two steps back. I’m extremely excited to dig back into WWE 2K19 and explore all the modes I haven’t even begun to play yet. The game is addictive and more fun than it has been in years. The roster is deep, although totally random in which legends make the cut every year. Yes, there are some glitches and hilarious bugs – it wouldn’t be a WWE game without a few here and there, but they are much fewer and further between this time around. Make sure to check back all weekend long as we upload more content from WWE 2K19. My full review should be up on Monday ahead of the official launch.